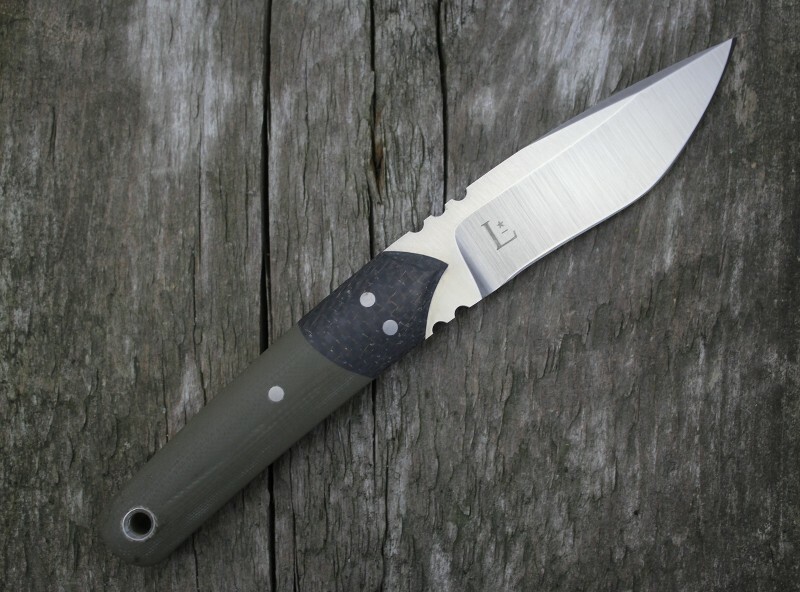 The "Spike" by Paul Letourneau has a 3.5" CPM154 steel blade with a satin finish and a carbon fiber & od-green G-10 handle with nickel silver pins. For hard-use tactical and outdoor activities, the Spike delivers unmatched cutting performance and ergonomics. Large enough to handle the big tasks, yet versatile enough to handle smaller chores, there's not much that the Spike fixed blade can't do. Comes outfitted with a Kydex sheath.